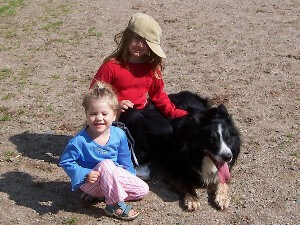 Roy, pictured here with some of the Double “R” dogs, has been a Maritimer all his life. He is best known for raising and training horses, specifically Appaloosas. 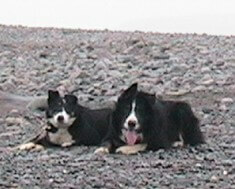 Roy is now pursuing his love of Border Collies. 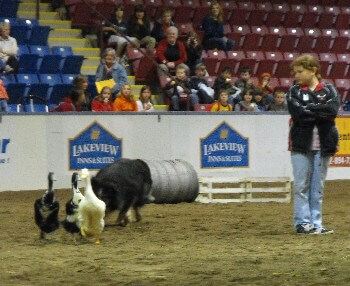 Breeding and training his dogs occupies most of his time, but he still raises sheep and keeps a small flock of ducks. 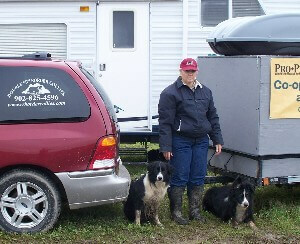 Roy Robinson has been a breeder in Nova Scotia for 18 years. He now lives in Victoria Vale just outside the Annapolis Valley town of Middleton. 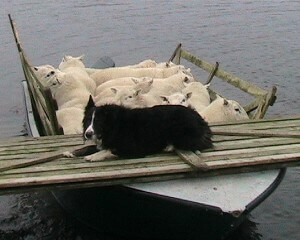 He breeds, raises and trains Border Collies in harmony with a few Sheep and ducks on his small farm. The name Double “R”, simply Roy Robinson, was widely known for many years for the Appaloosas that Roy raised and trained. Retiring from the “horse training” after seeing a dog training video awhile back, he thought it would be interesting to raise and train herding dogs. 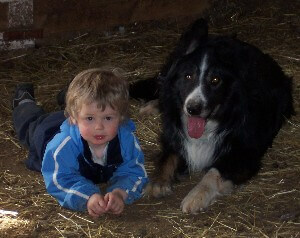 He and his farm now concentrate on the Border Collies and related farm animals. 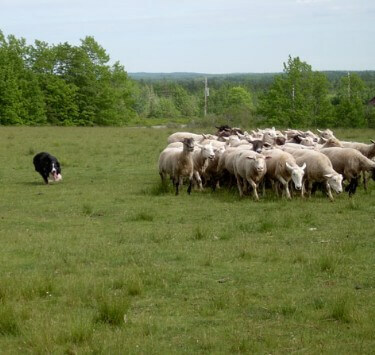 One of Roy’s best herding dogs, Bud, is pictured here doing a cross drive. 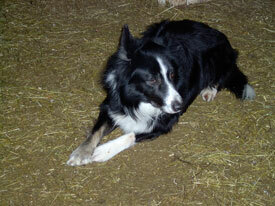 Bud was bought by a man who took him to Idaho and won many herding trials there. Bud passed away several years ago now but it still remembered fondly. Roy Robinson was inducted into the Appaloosa Horse Club of Canada Hall of Fame in 2006. The nomination came at the Awards Night for the National Convention held in Sussex, New Brunswick. Pictured at the National Convention.